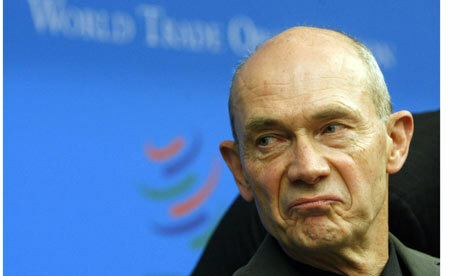 During the WE, I read Pascal Lamy’s excellent note entitled “The Future of Europe in the New Global Economy“. There are dozens of good points in this note. In particular, I really liked Lamy’s rebuttal of the argument that European high salaries are the cause of our competitiveness deficit. As he rightly argues, “when we look at salaries, we have to set them against worker productivity“. And on this, there is still a profound gap between the EU and other trade blocks like China and India. Lamy, however, makes a more surprising point. He contends that in the global trade arena, EU firms should strive for what he calls “non-price competitiveness“. “those characteristics that cause a product to stand out positively among its competitors, regardless of price. In particular, it comprises know-how, quality and innovation, which allow a company to sell the same products as its competitors but at twice the price“. “shields manufacturers from having to worry about fluctuating global prices and competitor attacks“. In my own professional language, I call this “market power“. So here’s a nut to crack: can market power be the way forward for the EU in terms of achieving a comparative advantage on the international trade scene? What he’s talking about is market power, but only in the way that it exists in all real-world markets. Specifically, what he’s talking about is monopolistic competition, which is not normally considered an automatic matter of concern for competition authorities. I think a large part of this the idea that Europe should be being more creative, doing more branding, and generally generating intellectual property rights, which, by their nature, confer a certain degree of market power. He’s talking in such general terms that it’s hard to be sure, but I think that the other part of the idea is something like craftsmanship – the Europeans might be making the “same” product as everyone else, but the European model is more reliable by dint of having been made by a more skilled and specialised workforce. The European workforce doesn’t just make stuff more efficiently – it makes better stuff. I find this an attractive idea -suggesting as it does that things like long term job security and high salaries may actually be strengths rather than weaknesses – but I honestly haven’t a clue whether it’s the key to European competitiveness, or just a case of Lamy taking Audi’s marketing campaigns a bit too seriously. monopolistic competition? isn’t that a market structure with small firms relative to market size? each having very little market power? can market power be the way forward for the EU in terms of achieving a comparative advantage on the international trade scene? i think there’s a huge difference between market power and comparative advantage, and I hope i can clarify a little. market power is basically the ability to price fix, all firms have the autonomy to fix prices or output individually. that’s the essence of market power in econs, the more market power you have, the more power u have to price fix, i.e. the more price inelastic your demand, i.e. if you increase price, quantity demanded falls less than proportionately. of course, that’s still subject to other firms in the industry, i.e. the more firms selling similar products, the more price elastic, etc etc. having product differentiation gives a firm more market power, to lamy, that’s great.. for a firm, that’s great, because it makes a company’s revenue more resilient, especially to competitors’ price changes. product differentiation may be the way forward in the eu, especially if the EU finds it hard (structurally) to reduce costs, which of course can lead to PRICE competition. also the increased market power comes as a result… bcos of the non-price competition and differentiation, it’s a natural result even. but it doesn’t always automatically equate to increased market power, because the market is big, he’s talking abt an international trade situation? in fact, the increase in market power may be relatively confined, because of the other market players as well..
achieving a comparative advantage where comparative advantage needs to be differentiated from competitive advantage.. i don’t know.. i’m seeing comparative advantage from Ricardo’s point of view. I think it’s a way to achieve competitive advantage, rather than comparative advantage, which is more of a “I produce at lower opportunity cost compared to you?” kind of argument…. ?